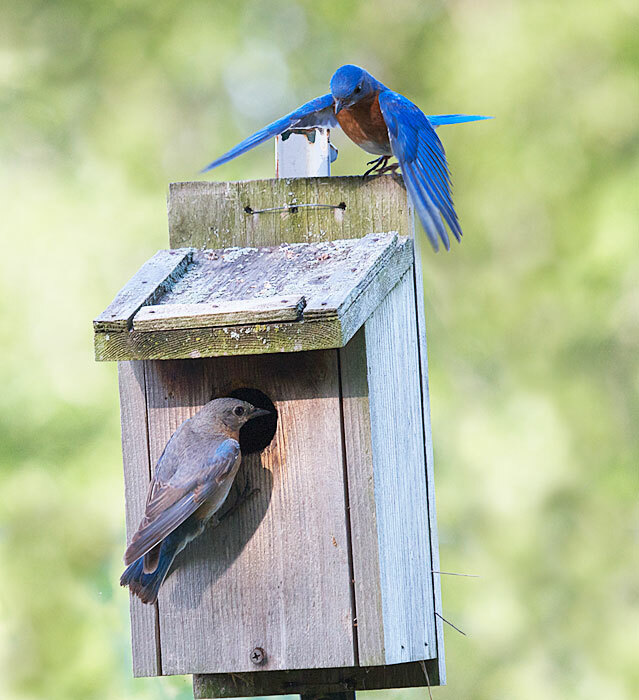 The mother bluebird is inside, setting four eggs. The female at the door is the hussy. She spent 20 minutes hanging around the house, with the male repeatedly and emphatically chasing her off. She would look at him from the fence and wave both wings in what I swear was a "Come hither" gesture.